I journaled nearly everything all throughout my pregnancy, and then from birth to age 1. I wanted to memorize every single experience and detail about my first baby’s little life. But once toddlerhood came around after her first birthday, it became harder to find time to write all the things down that she learned, said, and did throughout the day. She has always been a super active kiddo, and I’ve hardly had a chance to breathe let alone document all the sweet, smart, and funny things she’s done these last few months. 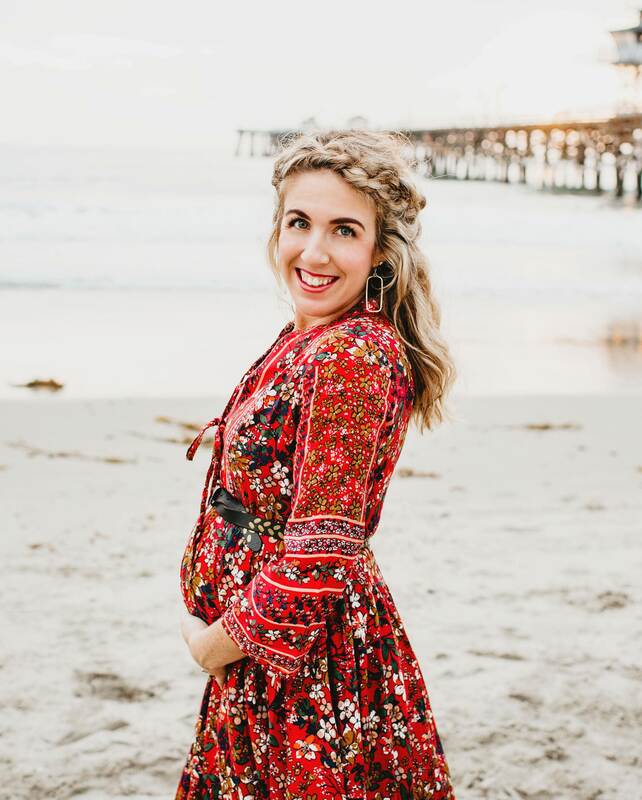 I'm Becca, a Marriage + Motherhood lifestyle blogger who loves Jesus, living colorfully, and being in the kitchen. The Mini Apartment Blog exists to inspire and encourage women who are entering the seasons of Marriage + Motherhood to live vibrantly, stay happy, and stay sane, as we all learn how to find magic in everyday moments. Enter your email below to join The Mini Apartment Blog Community! Once a week, you'll be sent some happy mail chalk full of encouragement, humor, and amazing stories from other real-girls like you. Walking into my birthday weekend like ✨✨💃🏼 You guys, I’m going to be 30 tomorrow!!! Like where the heck did the last decade go?! 👇🏻 I still remember turning 21 in San Francisco and having my first “real drink.” 👇🏻 I still remember feeling completely lost and the heartbreak that came after my first (and then second) major breakups. 👇🏻 I still remember the night I drove off with my best friend on a one way road trip to Washington state after I graduated, a wide eyed and bushy tailed 23 year old with nothing but what I could fit into my ‘98 dodge neon. 👇🏻 I still remember the day I got my official business license for my wedding photography brand, and how accomplished I felt after shooting my first wedding. 👇🏻 I still remember the day I met my now husband, how I thought instantly “yep that’s who I’m marrying” without even knowing his name. 👇🏻 I still remember smiling at him through happy tears in the moments during our vows and telling myself “NEVER forget how you feel in this moment!” 👇🏻 I still remember all of the major things that happened in my 20s that completely transformed me, as if they happened only yesterday — and here I am looking at 30 with a toddler, 38 weeks pregnant, an amazing hubby, and a heart just full of joy and gratitude for the journey. . I’m coming out with a blog post this weekend on all the things I wish I knew in my 20s - and how much I’m looking forward to 30. Stay tuned! Hard to believe we only have 3 more weeks of just you + me. I’m definitely feeling the feels of making that transition to two babies, and as much as I’m so happy for our second girl to come I’m also realizing that I’m going to miss this season with my first baby!! 🌼 . Izzy is over the moon to be a big sis - I just know that it will be a good transition no matter what it looks like. 💛 If you’re a mama to 2+ kids (especially 2 under 2), leave your best advice for making that transition below! Just reaaally felt compelled to grace your feeds with this sweet face today 🥰 20 months old and FULL to the brim of energy, words, and personality. Nothing is too much/big/intimidating for her - she thinks she can conquer anything she faces. She’s fearless, spirited, radiant, and carefree. . Most days I wonder how I keep up with her. She is a handful, but having my hands full means that my heart and home are always full too 💛 She loves to snuggle, gives free hugs to anyone she can, and is very much her mother’s daughter. . Motherhood is nothing I thought it would be, and everything I imagined at the same time — it’s a whirlwind of emotion and redirecting and stretching and growing all at the same time. But then I see this face, in all its wonder and curiosity and love for the world, and forget all about the hard days...she makes me come alive in ways I never thought I could. . I’m just feeling very thankful to have been given the gift of daughters, and to have this opportunity to know her and love her. 💛 . Now, off to buy all the photo frames because this photo session with @chanellynn__ has me wanting to hang every single image!!! Want to subscribe to my fun little blog and be notified when new posts are up? Click the follow button below!